I’ve got an unpopular opinion at the moment, and it isn’t the first time. This time I’m coming to the defense of the internet’s latest punching bag, Lightning Returns: Final Fantasy XIII. I’m not normally one to tell people that their opinions are wrong; quite the opposite in fact. But having played over 40 very enjoyable hours of the game so far, and then wandering over to Metacritic and discovering a Metascore of only 66 (as of 2/19/2014), with tons of reviewers giving Lightning Returns a 6/10, 5/10 or worse, I honestly can’t believe that we’re all playing the same game. I have a few theories as to why the game has scored so low on average. I’m sure at least a few reviewers were predisposed to dislike the game based on their existing opinions of Final Fantasy XIII, and to them I wonder why they bothered to play and review the game in the first place. If you hated The Fellowship of the Ring and The Two Towers, you wouldn’t bother to review The Return of the King, would you? I’m not about to review Dead Space 3 when I barely got through an hour of the original. I suppose it’s no surprise that a person that hated Final Fantasy XIII and Final Fantasy XIII-2 would give Lightning Returns a 4/10, but in my opinion, that’s just trolling. I suppose “we (critics) thrive on negative criticism, which is fun to write and to read,” but I think that Lightning Returns is at an unfair disadvantage in this regard. Perhaps other negative reviewers have something against games with time limits, which I find a bit more understandable. Time limits can be very frustrating, and can affect review scores. But despite how Lightning Returns constantly emphasizes how little time there is left, when all is said and done, the time limits are surprisingly manageable. I was able to complete the majority of the game’s side quests, including those posted on the Canvas of Prayers, as well as 5 main quests within the first 4 or 5 days of play time. Suddenly I have a ton of time left, and there’s really no pressure at all. Granted, I made very careful use of Chronostasis, an ability that stops the in-game clock for a minute or two of real time. I also kept careful track of my active quests so I could plan my days in an efficient manner to avoid wasting time and take care of objectives that could only be completed at a certain time of day. It seems like I was far more careful with my time than I needed to be. As a whole, the time limits in Lightning Returns aren’t nearly as bad as they seem, and I certainly don’t think they are bad enough to lower a review score in this case. There are also those complaining about the game’s storyline, and more specifically, its ending. I can’t speak to the ending as I have not reached it yet, but even the worst ending in the history of bad endings can’t take away how much fun there is to be had during the journey. And as far as the ongoing storyline, this is another case where fans of the first two Final Fantasy XIII games will get more mileage than newcomers, or anti-fans as the case may be. Lightning Returns offers plenty of interesting and rewarding storyline moments throughout the game to those that have really been following closely since the first game in the trilogy. I’m not going to say it’s a great storyline, because it certainly has its issues and the side quests can be hit or miss, but I can honestly say I have enjoyed all of the main quests and many of the side quests as well. And I suppose the most vocal portion of the negative criticism brigade are those that just expect another Final Fantasy game exactly like their favorites from the series, never mind that this has been a series defined by change and innovation. Square Enix deserves more credit than it gets for their willingness to change things up from game to game, even if it can alienate fans from time to time. Obviously when the changes are as drastic as those in Lightning Returns, it’s going to ruffle a few feathers, but I’d hope that wouldn’t prevent people from appreciating each game for what it is, not what it isn’t. Lightning Returns actually does quite a few things right, though you’d never know it looking at the Metascore. I’ve had a lot of fun with the battle engine, and though I miss controlling a party of characters, it makes sense both in the context of the game’s storyline and through the battle mechanics themselves that Lightning is almost always by herself. Like the best Final Fantasy titles, failures in combat can be overcome with planning and strategy, and there are plenty of challenging battles which force the player to learn the intricacies of the battle engine and how to properly equip Lightning with skills, spells and equipment (schemata). The open world nature of Lightning Returns is also a departure for the series, and all things considered, Square Enix managed a pretty good job of it—though it is no Skyrim by any means. There are a lot of side quests scattered throughout the world, and the player gets to know characters and environments intimately throughout the game. The visuals themselves are often beautiful. 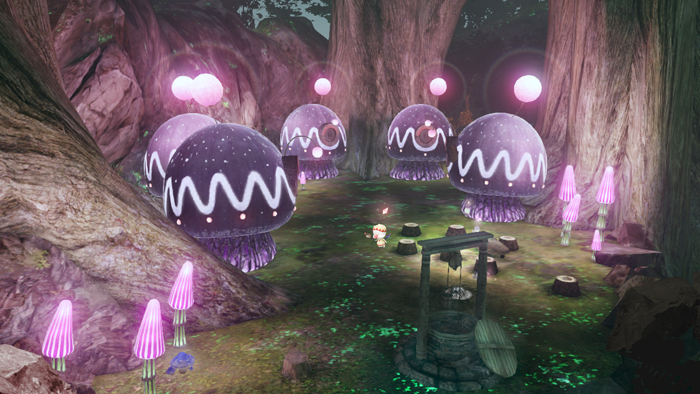 Visiting an area at a different time of day can be shockingly different, with objects that appear drab during the day glowing beautifully at night, and with different monsters and NPCs populating the area, providing new challenges and opportunities. There are frame rate issues from time to time—and these are particularly annoying in combat—but overall, the game is quite beautiful to look at. It sounds good too. The music and sound effects are up to the usual Square Enix standard, though I admit I was disappointed when they reused music from older games instead of composing new tracks. The voices leave something to be desired as well, especially during some of the side quests, though I should mention that you can download the Japanese voices if you want to hear the original cast. But most importantly for an open world game, it just sounds right. Your actions throughout the storyline are reflected in NPC banter, and every setting is brought to life with ambient sound effects and dialogue. But perhaps the most essential component is that the game is fun to play. The battle engine is solid, the four regions of the world are interesting and fun to explore, and there is plenty in the storyline for anyone that has been paying attention through Final Fantasy XIII and Final Fantasy XIII-2. My full review is coming next week, and, spoiler alert, it’s on track for an 8 at the moment, and I can’t imagine anything lowering that score to anything worse than a 7 given how much fun I’ve had so far. You often hear the phrase, “more (or less) than the sum of its parts.” But when I look at the exact sum of its parts, Lightning Returns: Final Fantasy XIII is certainly more than its current Metascore. In the interest of full disclosure, yes, I enjoyed Final Fantasy XIII and Final Fantasy XIII-2, but I also agree that they were not as good as their predecessors. But I do feel that the trilogy as a whole has been overly criticized based on the understandably high expectations of fans of the series. And in the case of Lightning Returns, I simply don’t think it has been reviewed fairly. 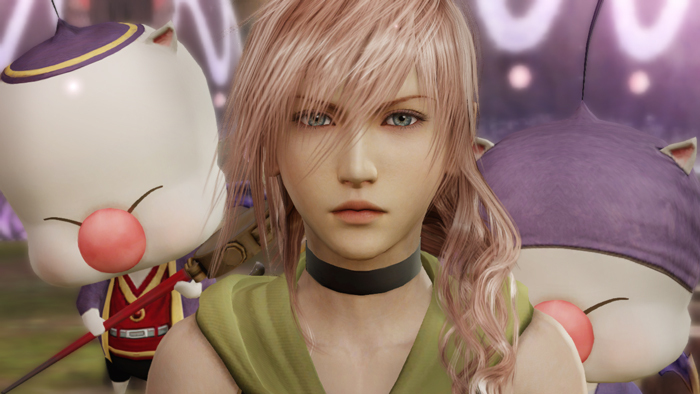 Be it a dislike of the series, a pet peeve about time limits, or a disappointment in the storyline, for one reason or another, Lightning Returns has been disproportionately punished. If this game is worth only 66/100, then I need to start giving the benefit of the doubt to more poorly reviewed games. To those of you still on the fence, I suggest you give the game a try. It’s not a perfect game by any means, and many of the criticisms against it are valid, but I’ve found a lot more to enjoy than I ever would have expected based on the majority of the reviews out there. All I can suggest is that you try it, and decide whether or not you like it for yourself. Have to agree, surprisingly. I thought this game was gonna be very mediocre, but I was wrong and I’m really enjoying it. And there in lies the whole point of this editorial. … Because it’s awful? I mean, it might be better than FFXIII, but that’s a damn low bar to clear. Metacritic is a piece of cow dung and needs to vanish.